Describing the wide range of the benefits of group drumming including reducing anxiety , depression, threshold of pain, boosting immune system and even rebuilding brain tissue. Rhythm is our natural inheritance. It exists in our bodies, our hearts, our breath. It exists in the vibration of atoms, the cycles of the seasons, the ticking of clocks, the orbit of the earth. There is no part of creation that is without rhythm! Drumming is a practice that spans the globe and has a presence in every culture. It has been used for centuries in rituals, ceremonies, communication, rites of passage, music and dance, celebration, healing, community building, and cultural events. Other studies have demonstrated the calming, focusing, and healing effects of drumming on Alzheimer’s patients, autistic children, emotionally disturbed teens, recovering addicts, trauma patients, and prison and homeless populations. Research results have demonstrated that drumming is an effective treatment for stress, fatigue, anxiety, hypertension, asthma, chronic pain, arthritis, mental illness, migraines, cancer, multiple sclerosis, Parkinson’s disease, stroke, paralysis, emotional disorders, and a wide range of physical disabilities. 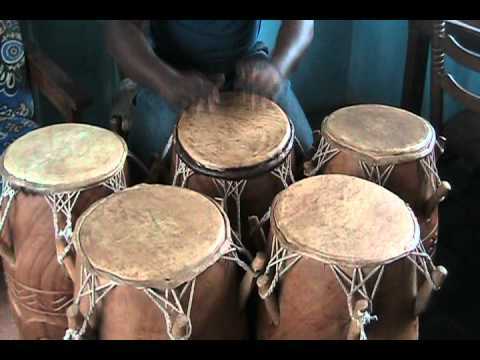 Reduce Blood Pressure, Anxiety/Stress: A 2014 study published in the Journal of Cardiovascular Medicine enrolled both middle-aged experienced drummers and a younger novice group in a 40-minute djembe drumming sessions. Their blood pressure, blood lactate and stress and anxiety levels were taken before and after the sessions. Also, their heart rate was monitored at 5 second intervals throughout the sessions. As a result of the trial, all participants saw a drop in stress and anxiety. Systolic blood pressure dropped in the older population post-drumming. Improves Our Immune System. Reduces Cortisol, and Boosts Two Types of Cancer Fighting Cells: A 2001 study published in Alternative Therapies and Health Medicine indicates that drumming circles boost the immune system. Led by renowned cancer expert Barry Bittman, MD, the study demonstrates that group drumming actually increases cancer-killing cells, which help the body combat cancer as well as other viruses, including AIDS. According to Dr. Bittman, “Group drumming tunes our biology, orchestrates our immunity, and enables healing to begin." Reduce Emotional Distress: A powerful 2001 study published in the journal Evidence-Based Complementary and Alternative Medicine found that low-income children who enrolled in a 12-week group drumming intervention saw multiple domains of social-emotional behavior improve significantly, from anxiety to attention, from oppositional to post-traumatic disorders. Transcendent Experiences: A 2004 study published in the journal Multiple Sclerosis revealed that drumming enables participants to go into deeper hypnotic states, and another 2014 study published in PLoS found that when combined with shamanistic instruction, drumming enables participants to experience decreased heart rate and dreamlike experiences consistent with transcendental experiences. Original research reports for these, and many other reports on benefits for a range of populations can be found on the following pages in Rhythm Research and Resources.. Follow the menu or use the search bar to find the reports that have been organized by population studied, or the benefits seen.